The Lincoln Center Theater production of William Finn and James Lapine's groundbreaking, Tony Award-winning musical comes to SHN. "Falsettos" revolves around the life of a charming, intelligent, neurotic gay man named Marvin, his wife, lover, about-to-be-Bar-Mitzvahed son, their psychiatrist, and the lesbians next door. It’s a hilarious and achingly poignant look at the infinite possibilities that make up a modern family... and a beautiful reminder that love can tell a million stories. William Finn and James Lapine’s groundbreaking, Tony Award-winning musical "Falsettos" returned to Broadway in an all new production from Lincoln Center Theater, and was nominated for Five 2017 Tony Awards, including Best Revival of a Musical. Lapine returned to direct an extraordinary cast in a production that was seen on PBS stations nationwide. Recommended for ages 8+. No children under 5 allowed. SHN and TodayTix are thrilled to bring you $35 Rush tickets to "Falsettos!" Every performance day, on a first-come, first-served basis, a limited number of $35 Rush tickets will be made available. To unlock this feature, SHN simply requests that you spread the word on social media through our app. Company may offer programs whereby the Company would make available certain features of the Services when you share information about the Services through an SNS or click on the “Unlock without sharing” button in the Application. 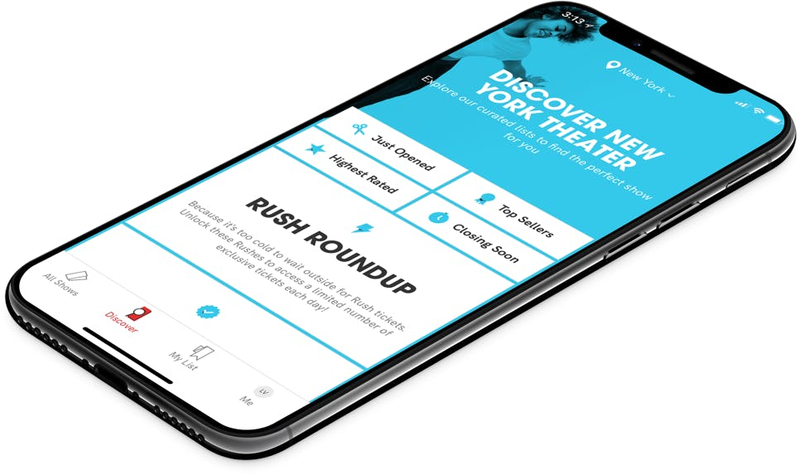 When you are considering purchasing a ticket for a specific show or after you purchase a ticket, if you select the “Share” button in the Application, Company will make available to you a personalized link to a Digital Property with text stating, for example, “Check out Falsettos on TodayTix! I’m thinking of going…” or something similar, which you may choose to share with your friends via SNS. Once you have shared the personalized link through an SNS using the Application or selected the “Unlock without sharing” button in the Application, Company will make available to you the RUSH feature, which will provide you with otherwise unavailable offers for tickets to live events occurring in the next week. The opportunity to take advantage of these offers is only available to users who share a personalized link to an SNS through the Application or select the “Unlock without sharing” button in the Application.